The uncertainty about the future evolution continues being the dominant tonic of the Catalan market of the cement in the beginning of the year 2019. The advanced data of the Barometer of the Cement corresponding to February show a consumption of 1.76 million tons in Catalonia in the last 12 months (mobile year). This figure represents a decrease of 4.7% compared to the same period of the previous year. According to the analysis of Salvador Fernández Capo, president of Ciment Català, “the general uncertainty of the situation itself, with a double electoral convocation in sight and some Catalan and Spanish governments without budgets approved for 2019” could explain this irregular market trend. To overcome this situation, he considers it would be necessary to “program works that are necessary for the country, promote the use of alternative fuels that help waste management, reduce CO2 emissions and improve the competitiveness of the industry, and avoid unjustified rates that they put exports at risk, which are the escape route for the sector in situations like the current one “. 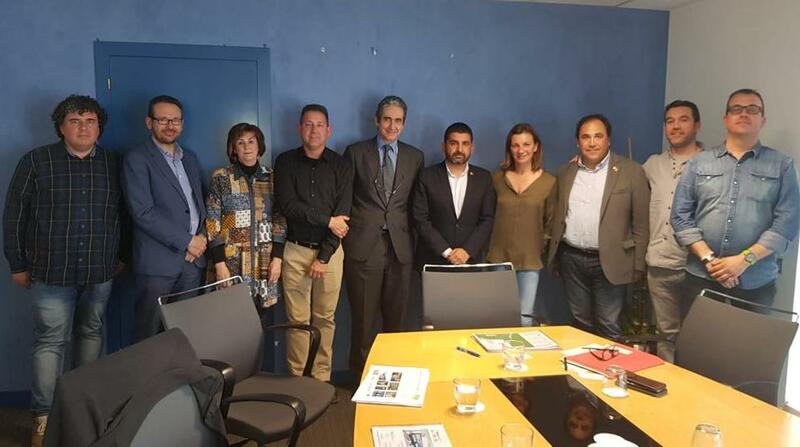 In order to promote awareness among the political class of the needs of the sector, employers and unions of the Catalan cement industry have developed an extensive program of information sessions between the end of March and the beginning of April. Meetings have been held with the directors of Enterprise and Knowledge, Territory and Sustainability and Labor and Social Affairs, Mª Àngels Chacón, Damià Calvet and Chakir el Homrani respectively. And also with the parliamentary groups of En Común-Podemos, the Socialist Party of Catalonia, the Democratic Party of Catalonia, Esquerra Republicana de Catalunya and Ciutadans.